We are leading manufacturer of PVC Fitting Injection Molding Machine in Ahmadabad, Gujarat, India. We have large range for this kind of machine in servo based technology. 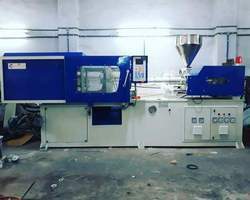 We are leading manufacturer of injection molding machine in Ahmedabad, Gujarat, India. We are serving this industry from long years. we have different range of machine from 20 Ton to 550 Ton. Looking for PVC Fitting Injection Molding Machine ?